Whether or not you are an avid golfer, it can be difficult to know when it’s the right time to purchase a new set of clubs. New clubs are certainly exciting, and the decision to switch is certainly made harder by the club manufacturers’ marketing departments when they seem to suggest a new set every season. That, we can assure you, is not necessary. What is necessary is evaluating the age of your current set of irons and how they are affecting your game. A low handicap golfer can see a significant improvement from a new set of irons if you’re noticing some loss of speed or distance. If you’re not a low handicap golfer and constantly working on your game, you might notice a difference in your game with a different category of iron. Taking your irons to a fitter will almost always be the best option as they can take a professional evaluation of your swing. They’ll give you tips as to how your current clubs are working for you and if a new set of clubs could potentially make a difference. The best part is, you can see and feel the difference yourself between your current clubs and a newer set in their simulator. New clubs can help your game, but constantly grabbing “next year’s model” is sure to wreak some havoc with your consistency. We asked a couple of our local pros who both agreed that fit is the most important factor in deciding whether or not it’s time to purchase a new set of clubs. “When they don’t fit you anymore, or when you feel like you are leaving something on the table by not switching,” says Don Berry, PGA professional at Edinburgh USA Golf Club in Brooklyn Park. Christopher Foley, director of instruction at Cragun’s Legacy Courses in Brainerd, agrees. Sometimes you have to replace a club due to damage (I broke my steel-shafted 8-iron hitting a tree root and replaced it with a comparable club, but the new shaft was graphite), and while it is not ideal, it is cheaper than a new set. Still, the pros warn against it. Berry agrees that mixing a set is not ideal, but if it must be done, he suggests taking all the clubs to a golf shop to have lies and lofts checked, and possibly change the shafts if their weight isn’t right. When you have made the decision to acquire some new clubs, any golf pro would say that getting club fitted by a professional is essential — and getting fitted for irons is different than for metal woods. So, when do you get new clubs? 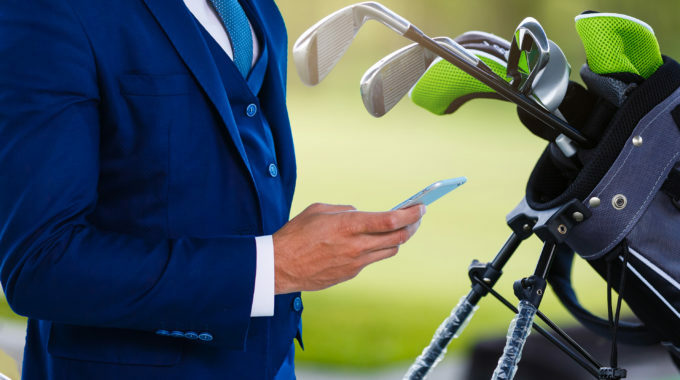 Take a quick survey of your bag (and perhaps look over your most recent scorecards), and you may decide it is time to move on from that old “Billy Beroo” and the other old clubs found there. Okay, so you’ve officially decided it’s time to buy new clubs. When should you actually go out and buy them? The easy answer is the holidays. Yes, just like almost everything else, the best time of year to buy clubs is in between Thanksgiving and Christmas. Once you know what clubs you want to buy, do some shopping around to see which companies are offering the best holiday specials and discounts. Believe it or not, spring can be a great time to purchase clubs as well. If you don’t need to have the latest and greatest, this can be a great time of year to purchase last years model for a steal of a deal. Once the new models hit shelves at the beginning of golf season, start shopping for last years models and wait until the price drops. This is your chance to get a great new set of clubs for a fraction of the cost.